Unlike in the Pokemon series Badges are earned by winning a gym. In Pokemon GO, Badges are earned by catching Pokemon in the wild, hatch eggs and training on gym. 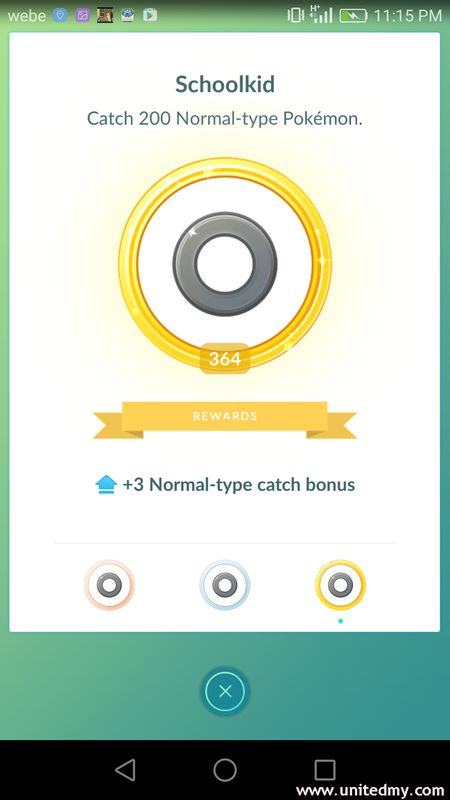 Players could take the badges as achievement, mission or a Pokemon go quests. The newest updates give a brand new purpose to Pokemon Go. The more Pokemon one catch, the more points one will get into to enable a catch bonus. 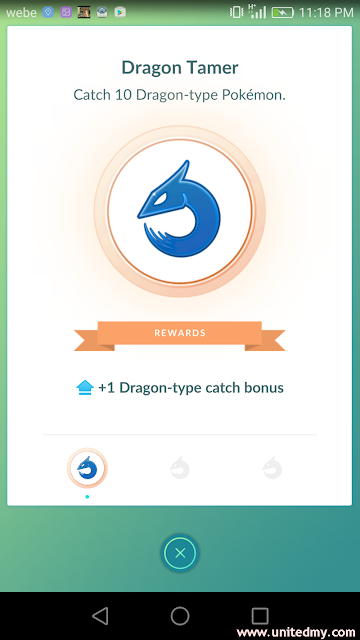 The golden badge is the final one can get and it gives out +3 bonuses whenever one catch normal type Pokemon. Nevertheless, it also display how many normal Pokemon player have catch. In the previous update, Pokemon player could never see the Pokemon types. 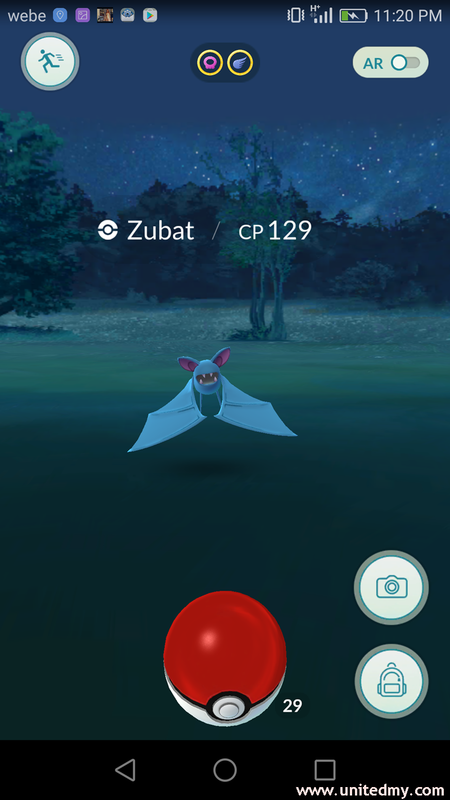 Here is a Zubat in a new update showing a Pokemon type of supersonic and flying. The Pokemon Go newest update is pretty straightforward. Oh man ! I have been playing many months since August 6, 2016. These are my badges collection. It render me unbelievable because I thought I would have more than that. 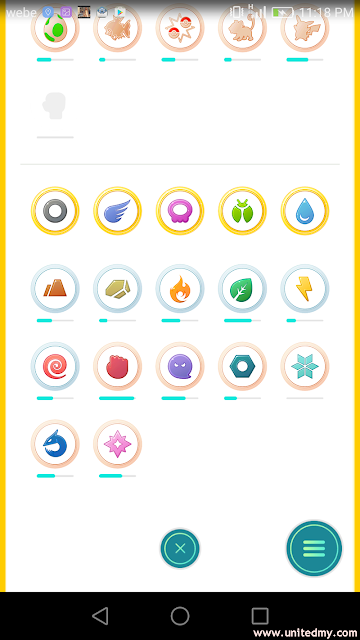 17 Badges to unlock equivalent to roughly 3400 Pokemon. Minus the 5 completed badges, I still need to go catch 2400 Pokemon to catch estimated. Dragon is hard to come by. Only met Dragonite once and I blow my chance to catch it. There has been lots of comment to Niantic saying that to add quests/missions into Pokemon GO. This newest update surely make them feel like their comment is reached and appreciated. Before the update, I just catch few pokemon such as Pidgey, Ratata, caterpie and Eevee for levels. But now, I could catch Magnemite more often in order to complete mine electric type badge.